Often cited as one of Jefferson’s finest Greek Revival houses, I believe this originated as a Plantation Plain and was later modified. Either way, it’s a great house and a Jefferson landmark. It’s presently home to a beauty salon. 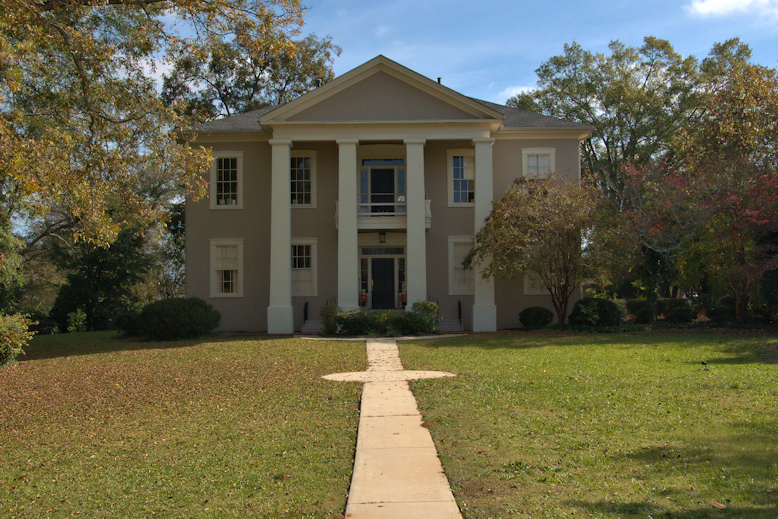 As John Linley wrote in The Architecture of Middle Georgia: The Oconee Area, “Greek Revival architecture seems to have reached a certain perfection in [this] house.” Originally thought to have been built circa 1836, research now indicates that construction took place between 1852-1854. It was built for Daniel & Elizabeth Trippe Slade. 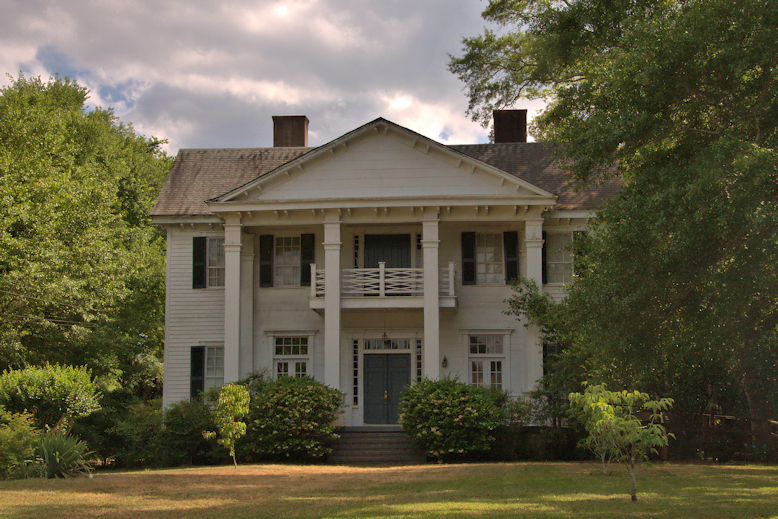 Slade came to Eatonton from Litchfield, Connecticut, around 1828 and after a brief teaching career operated a successful mercantile business for many years. The house was sold to a local judge, named Wingfield, around the turn of the last century and his family remained there until 1975. I’m happy to report that restoration has begun on this landmark. 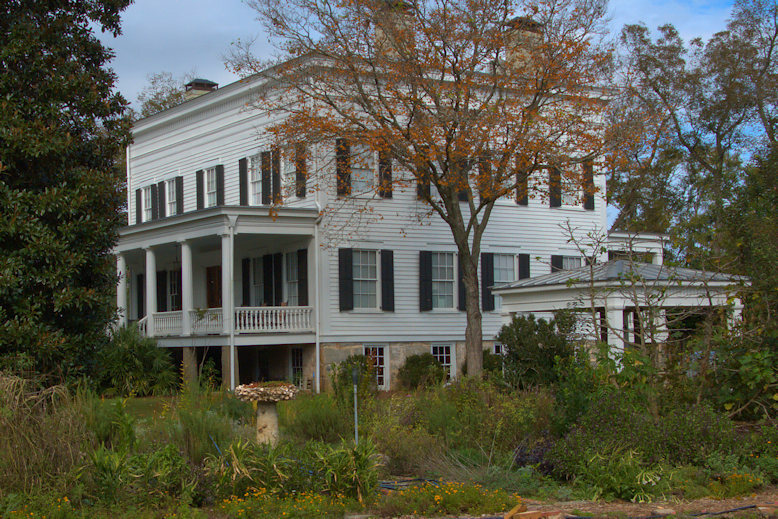 It was built by Dr. William Prichard on land purchased from Robert Lanier, father of Sidney Lanier. There were several owners between 1872 and 1919 when it was purchased by Lucien P. Goodrich, grandson of Dr. Pritchard. 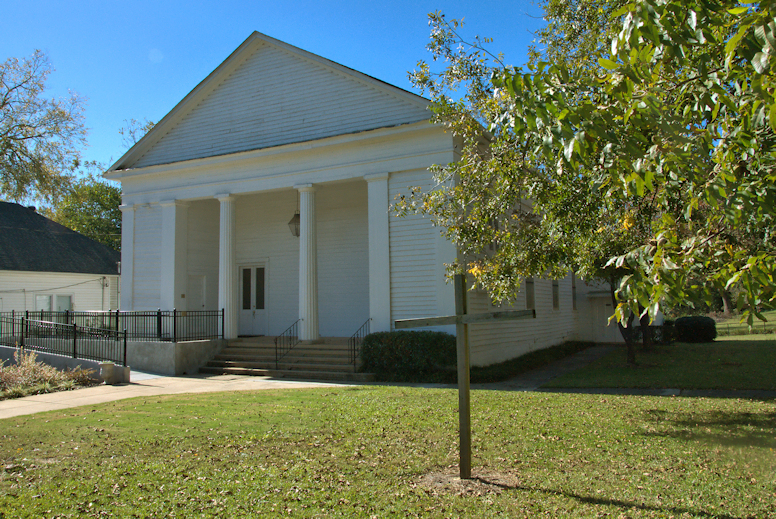 Goodrich was a city and county attorney, city court judge, president of the Chamber of Commerce and Griffin Bar Association and served on the first Board of Regents of the University System of Georgia. He died in 1954 and after a brief ownership by his daughter, the home passed from family hands. [Other names associated with the property have been Wadsworth and Jones]. 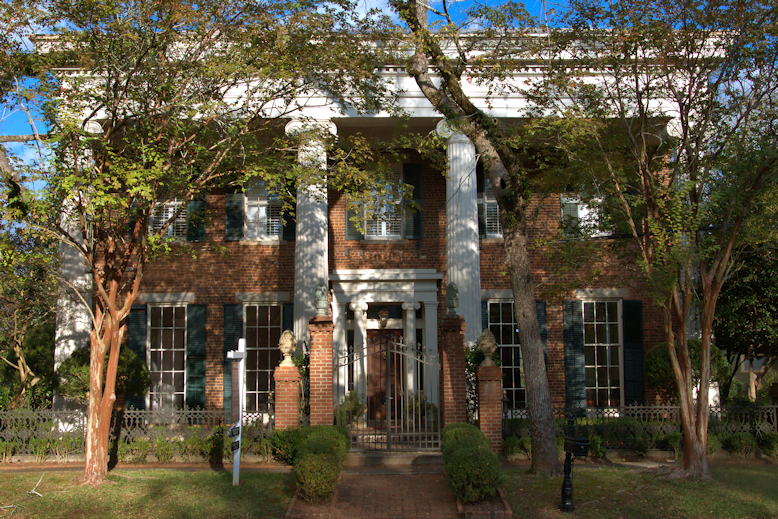 Also known as the Lewis-Mills House, this grand Greek Revival was built for the Lewis family, who came to the South from Massachusetts. Mrs. Emily W. Lewis was living in the house with her granddaughter, Lavonia Hammond, during the Civil War. 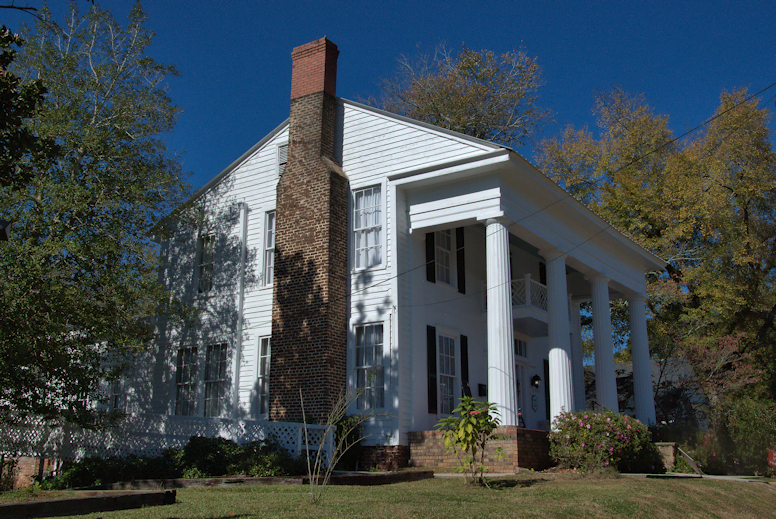 Lavonia recalled that the house served as a hospital for Confederate soldiers and hosted Alexander H. Stephens, Robert Toombs, and Benjamin Harvey Hill, all good friends of her father. In 1878, Lavonia married John B. Mills and they resided in the house with Lavonia’s grandmother. 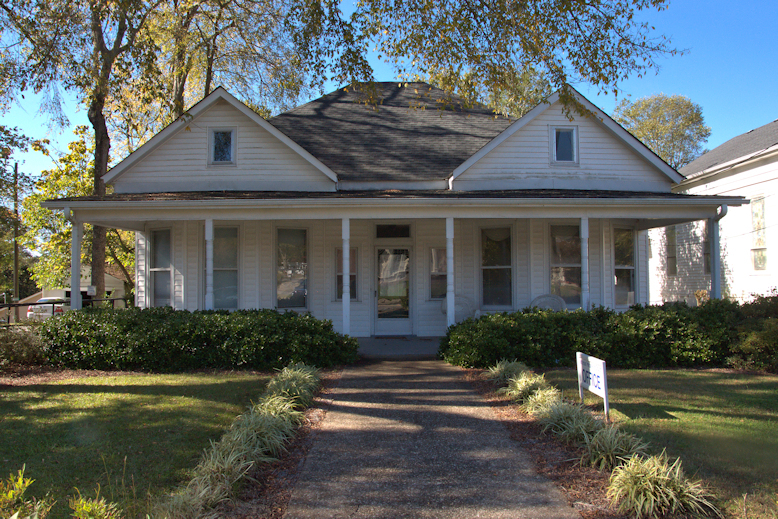 When Mrs. Lewis died in 1901, John Mills purchased the house from his wife’s siblings. 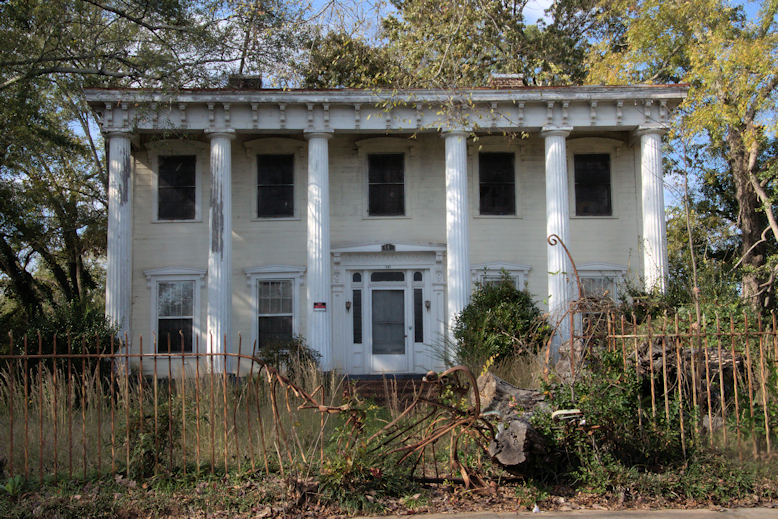 When Lavonia Hammond Mills died in 1936, the house passed out of the family’s hands. 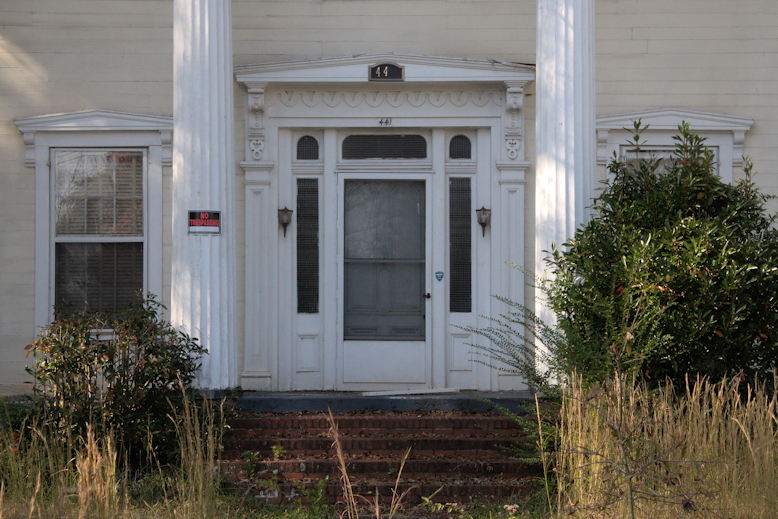 It had numerous owners in subsequent years and was eventually subdivided into apartments. After falling into disrepair it was restored and is now the office of a law firm.